Home News Headlines Time to drink Nigeria’s oil? Time to drink Nigeria’s oil? It may be an assault on sensibilities to insinuate that Nigerians will have to drink their oceans of ‎oil, as it may be unscientific to suggest that the resource will dry up soon. But the alarm bells are ringing loudly as the world increasingly turns away from oil. In the story, which is also a parable, a master empowers his servants with resources (talents) before he sets out on a long journey. On his return, he calls for accounts to be rendered. While some of the servants invested the talents for multiple returns, one servant decided to bury his. Some Nigerians prefer to keep resources in their domain untapped or abused rather than engage resources from elsewhere for exploitation because of the pride of ownership and other reasons – it is our oil, it is our refinery, it is our airport, it is our national asset, etc. “The window of opportunity to maximizing our oil resources is fasting closing,”‎ observes Victor Okoronkwo, senior vice president, Aiteo Eastern Exploration and Production Company. The company operates one of the most important but most vandalized pipelines in the country- the Nembe Creek Trunk Line which evacuates crude from the Niger Delta to the Atlantic coast for export. In a rare show of courage and commitment to the country, The Aiteo Group purchased the troubled 97-kilometre pipeline with 600 barrels of oil per day design capacity from Royal Dutch Shell Plc. But vandals have not spared the pipeline. Okorokwo explains the new scenario:”Clean energy initiatives are springing up with countries announcing target dates to move from oil and gas to renewables; and with the emergence of unconventionals, what used to be major demand centres for fuel like the US have turned into supply centres. 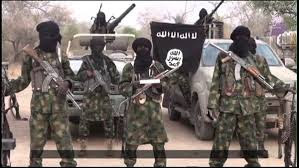 Although no official link has been made between one of such exercises in the US and the cessation of oil imports from ‎Nigeria, it is on record that weeks after a scenario exercise in the US predicted major violence in the oil-rich Niger Delta, the first bomb attack on an oil facility occurred in the Opobo Channel in Rivers State. The war gaming exercise called the Oil Shockwave was conducted in 2005. It was a policy war-gaming scenario created by the joint effort of several energy policy think tanks, the National Commission on Energy Policy and Securing America’s Future Energy, which outlined a series of hypothetical international events taking place in December 2005, all related to the world’s supply of and demand for petroleum. The industry scenario is changing again! 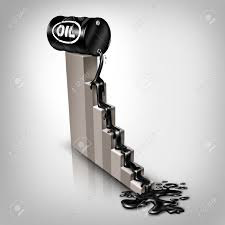 Oil is dying; the alarm bells have gone off. 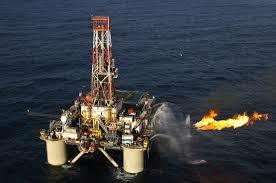 ‎ Luckily, Nigeria has some of its brightest and the best at the helm of the oil and gas industry and they are not unaware of the emerging scenario. They know and they voice it out that the time has come for all stakeholders in the oil and gas industry to allow for the unfettered utilisation of oil and gas resources before the country turns out to be that character who buried his talents or wasted it in the ancient story. Only recently, Vice-President Yemi Osinbajo urged the people and investors in the Niger Delta region to make effective use of the proceeds from oil, because the product may soon become unprofitable. Although he noted that Nigeria currently relied on oil for its foreign exchange earnings, the vice president said as nations of the world crave for cleaner alternative sources of energy, it (Nigeria) and indeed the Niger Delta region stood at a disadvantage, unless drastic steps were taken to stem the over-dependence on the product. “Many of the countries in Europe have set deadlines for phasing out cars using hydrocarbon,” he said. 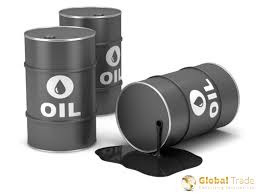 He added that the development meant that Nigeria’s crude oil would not be needed in the global market soon. The minister of state for petroleum resources, Ibe Kachikwu, is so concerned about the situation that it has become a refrain in his speeches. He noted recently that the world is moving away from oil, hence, it will no longer be an income resource in 10 years’ time. Kachikwu said in Abuja while answering questions on his outlook for the commodity in 2018 that: “If Europe is saying ‘in five years’ time, we are going to exit oil cars to electric cars’, oil, therefore, is getting its last years. “Except for those who produce and use it for local consumption because they’re moving slowly away from it but in terms of an income resource, you can begin to count the years. China: The world’s largest car market, is working on a plan to ban the production and sale of vehicles powered only by fossil fuels. The ban will lead to a reduction of oil demand in China, as the country is currently the world’s second-largest oil consumer after the US. Xin Guobin, China’s vice industry minister, said it had started “relevant research” but that it had not yet decided when the ban would come into force. Chinese-owned carmaker Volvo said in July that all its new car models would have an electric motor from 2019. Geely, Volvo’s Chinese owner, aims to sell one million electric cars by 2025. Britain: The UK said in July that it would ban sales of new gasoline and diesel cars starting in 2040 as part of a bid to clean up the country’s air. By 2050, all cars on the road are expected to have zero emissions. Nearly 2.7 million new cars were registered in the U.K. in 2016, making it the world’s sixth biggest market. Germany: In Germany, Chancellor Angela Merkel has hinted that it’s only a matter of time before the country that invented the modern car sets an expiration date of its own. Some German towns and cities have already threatened to introduce their own diesel bans to curb pollution. Norway: The government’s transportation plan outlines a clear target: All new passenger cars and vans sold in 2025 should be zero-emission vehicles. Austria, Denmark, Ireland, Japan, the Netherlands, Portugal, Korea and Spain have set official targets for electric car sales. The United States doesn’t have a federal policy, but at least eight states have set out goals. Some experts have dismissed the generalization of this scenario to reflect doom for the oil industry because of the many another uses of fuel, but it has also been observed that the allure of renewables will sustain the trend. As a futurist Stanford economist and RetinkX founder, Tony Seba is noted for the accuracy of his projections. He is reported to have predicted the solar energy boom at a time when prices for solar power were 10 times what they are today. He predicts that by 2030 electric vehicles will devastate the global oil industry. He says the impact of this innovation on the oil industry will be “catastrophic,” with global oil demand which will peak at 100 million barrels per day by 2020, dropping to 70 million barrels per day by 2030. While not dismissing the current importance of oil in the socio-economic development of the country, the group managing director of the Nigerian National Petroleum Corporation (NNPC), Maikanti Baru, a core industry personnel who has worked in various capacities in both the upstream and downstream sectors of the industry, says the Corporation is not unmindful of emerging trends in the industry. “We are active players in the industry, so we monitor developments closely and are guided by them.” “Aware of the threat to oil, we have been active throughout the value chain – from exploration for oil and gas in Benue Through and Lake Chad Basin, through production by the NPDC and with our partners, down to downstream industry – to ensure that Nigeria derives maximum benefit of her petroleum resources. In a bid to realise the Federal Government’s mandate to deploy the nation’s gas resources to stimulate economic growth, the Corporation and its partners recently evolved a scheme to grow gas supply for domestic consumption by 285 per cent from1.3 billion standard cubic feet per day to 5bscf/d by 2020. And in order not to be left behind by the rest of the world, it is championing the diversification of the nation’s fossil-based economy to renewable energy for which it has an active department. Last year it announced the acquisition of 20,000 hectares of land in Benue State to establish a $400 million dollar project for the cultivation of sugarcane and other agro-products to generate ethanol, as a renewable energy source. A major industry challenge remains the cooperation of all stakeholders, especially asset-bearing communities for maximum utilization of all oil and gas potentials before they go waste in the emerging scenario. Recent engagement of communities by the federal government and the leadership of the oil industry has been a game changer, but beyond those efforts, observers say oil producing communities must insist on the effective use of resources that accrue to the states from the Federation Account, while the attack on oil gas facilities should stop for maximum capacity utilization as the stakeholder engagement continues across the board.